Habīb is a transformational leader through spiritual speaking, teaching, and writing. He has spent more than eleven years studying spiritual and personal growth, bringing together spiritual principles with life experience. The result is a unique approach to honoring your self and your deepest truth while growing in a closer connection to the Divine and an ever-increasing experience of Divine Love. Habīb creates a safe space for all to break through their personal barriers and discover the truth of their own hearts. Habīb holds a Master's of Divinity from the University of Spiritual Healing and Sufism where he also completed a teaching internship program and has been a teaching assistant. Additionally, Habīb has a master's degree from Texas State University & a bachelor's degree from the University of Kansas. 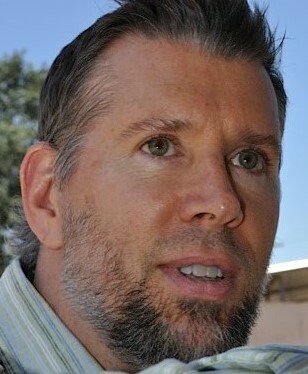 Habīb is currently pursuing a Ph.D. in Practical Theology at Claremont School of Theology, which allows him the opportunity to study spiritual formation in Christianity, Judaism, and Islam (at Bayan Claremont Islamic Graduate School), while gaining exposure to other religions, such as Buddhism and Hinduism. Habīb's Ph.D. studies focus on neuroscientific understandings of spiritual practice and cross-religious commonalities. He is passionate about promoting a position of religious pluralism and building interfaith bridges.